Part 1 of this posting explained the terms “charitable sales promotion” (CSP) and “commercial co-venturer” (CCV) and discussed the associated regulations and registration requirements. It also addressed required post-promotion filings, contracts and the limited exemptions from registration available to CCVs for charitable sales promotions. This posting covers required disclosures for charitable sales promotions. It will also address concerns related to the possible loss of tax exempt status that can result from these promotions as well as “best practices” that can help charities and CCVs avoid problems. The commercial co‐venturer shall disclose in each advertisement for the charitable sales promotion the dollar amount or percent per unit of goods or services purchased or used that will benefit the charitable organization or purpose. If the actual dollar amount or percent cannot reasonably be determined prior to the final date of the charitable sales promotion, the commercial co‐venturer shall disclose an estimated dollar amount or percent. Any such estimate shall be reasonable and shall be based upon all of the relevant facts known to the commercial co‐venturer and the charitable organization regarding the charitable sales promotion. the actual or anticipated portion of the purchase price that will benefit the charity (e.g., 5 cents will be contributed to abc charity for every xyz company product sold), the duration of the campaign (e.g., the month of October), any maximum or guaranteed minimum contribution amount (e.g., up to a maximum of $200,000). "5 cents will go to ABC Charity for every box of XYZ Cereal sold in October up to a maximum of $200,000." Though the BBB WGA Standards do not have the force of law, adherence to Standard 19 will likely meet the requirements of most state statutes. Again, like the BBB WGA Standard 19, the NY Best Practices do not have the force of law, however, the guidelines “…could be used by the NY AG and other state regulators to inform such regulators’ enforcement of general prohibitions against unfair and deceptive marketing as found in state mini-FTC Acts. If used as benchmarks for advertising standards, the Best Practices could have far-reaching effects on the ways in which charities and companies conduct cause-marketing campaigns,” according to Kristalyn Loson and Jonathan Pompan, attorneys at Venable LLP. Another concern for charities engaged in charitable sales promotions is unrelated business income tax (“UBIT”). When charities engage, on a regular basis, in trade or business activities unrelated to their charitable purpose, there is the risk that they could lose their federal tax-exempt statuses. Though publicly acknowledging a CCV’s support and making a general reference to their business and products is allowed, promoting or “advertising” of the CCV’s products by the charity could jeopardize the charity’s tax exemption. To avoid any possible attention from the Internal Revenue Service, most charities limit the duration of charitable sales promotions such that they are not regularly carried on and will not actively promote a CCV’s product or services. 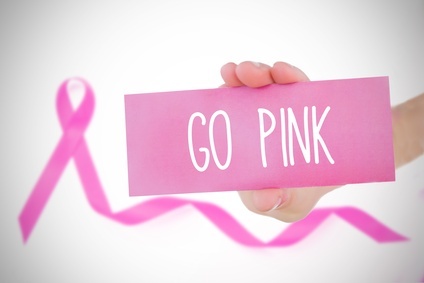 Whether it involves pink bandages for breast cancer awareness or any other type of well-intentioned publicity, charities contemplating entering into a charitable sales promotion with a commercial co-venturer are encouraged to perform proper due diligence before conducting a cause-related marketing campaign. As part of this process, it is important to do a thorough review of state statutes, especially with respect to the definition of “solicit” or “solicitation,” as there are additional states that will require a charity to register (but not a CCV) simply based on how a state defines these terms (e.g. Alaska, D.C., Maryland, Minnesota, North Dakota and West Virginia). Charities should not only carefully review their own state charitable solicitation registration requirements and compliance, but also ensure that prospective CCVs are registered prior to commencing charitable sales promotion activities and be certain that they are aware of, and are willing to comply with, applicable fundraising statutes. The scope of these promotions, local versus national, also should be considered because, in most states, these promotions are considered a type of charitable solicitation and, therefore, require charitable solicitation registration by the charity. In addition to registration requirements and due diligence, charities and CCVs need to understand their post-promotion, contractual, and disclosure obligations, as well as consider any adverse tax consequences when engaging in charitable sales promotions. To ensure all bases are covered, working with an experienced attorney and/or tax professional is highly recommended. See “Avoid Legal Pitfalls in Cause-Related Marketing”, electronicRetailer, October 2011, p. 40-41, Knowles, Jonathan D; Pompan, Jonathan L.; Loson, Krystalyn J. See October 2012 article, “Significant New and Higher Standards for Cause Marketing: New York Attorney General Releases Report on ‘Pink Ribbon’ Campaigns,” on Venable LLP’s website.